d) addition of specifications and ratings to cover the cutout recloser and its special requirements. This standard has been jointly revised by Switchgear Committee of the IEEE Power and Energy Society, in cooperation with subcommittee 17A: High-voltage switchgear and controlgear with reference to IEEE Std C37.60-2012(E). 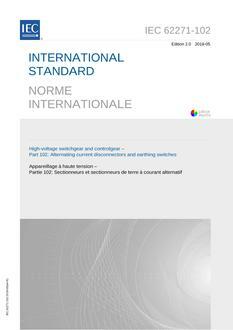 This publication is to be read in conjunction withIEC 62271-1:2007.